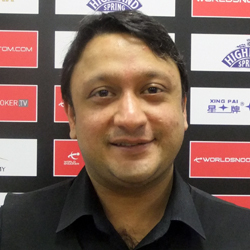 No stranger to the main tour having spent several seasons as a professional previously, Shailesh Jogia, more commonly known as Joe Jogia, returned to the main tour for the 2009/10 season following a successful campaign in the 2008/9 PIOS. Before Christmas Joe’s position did not appear to be overly promising as he could do no better than a run to the last 16 of the second of the five PIOS events staged. In 2009 however he managed to reach the quarter-finals of both events 6 and 7 before going all the way and winning event 8. Not only was this last result enough to see him move up into the all-important top eight, but it ensured that he would finish the season top of the PIOS rankings. 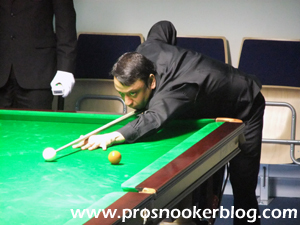 Joe also completed his first competitive 147 break during a pro-am tournament in Bradford to round off a successful campaign. Joe began his tour return with victories over Atthasit Mahitti and Mark Joyce to reach the third qualifying round of the Shanghai Masters where his run was ended by veteran Scot Jamie Burnett. He again was able to win his opening match during the Grand Prix qualifiers but was to suffer an embarrassing 9-0 battering at the hands of Simon Bedford in qualifying for the UK Championship. His best tournament run was to come at the third Pro Challenge event where he defeated Stephen Lee, Michael White, Rod Lawler, Peter Lines and most impressively Ricky Walden to reach the final. 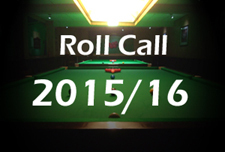 This was to be one match too far as he was beaten 5-3 by Robert Milkins. Back on the ranking circuit the second half of his season was to prove a positive one in which he won at least one match in each of the three tournaments staged. The most important was his opening World Championship qualifier against Lee Spick which he came through 10-8 to retain his place on the tour for another season via the one-year list. Joe made a strong start to the season as he reached the quarter-finals of the PTC1 event before he embarked on a strong run at the World Open, eventually losing out 3-1 to Liu Song at the last 32 stage in Glasgow. 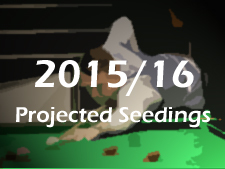 As a result Joe had done enough to move up until the top 64 at the season’s first ranking points revision. Early exits were to follow at the UK Championship and German Masters tournaments but he was to win at least one match during each of the remaining three events to help him move up to a career high ranking of 49th at the end of the campaign. 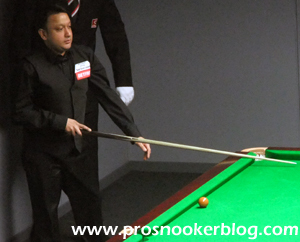 Joe made a flying start to the 2011/12 season as he made it through to the semi-finals of the PTC1 event where he lost out to eventual winner Ronnie O’Sullivan. Disappointing opening round defeats in the Australian Open and Shanghai Masters qualifiers followed before he returned to winning ways at the PTCs, reaching the last 16 of both events 3 and 4. Climbing up into the top 48 of the rankings for the first time, Joe was to successfully qualify for the venue stages of the UK Championship with wins against Anthony McGill and Jamie Cope, before giving Mark Williams a scare in York, eventually succumbing to a 6-4 defeat. After this run however, Joe was to experience a difficult second half of the season, losing his opening matches in the Welsh Open, Haikou World Open and China Open qualifiers, before losing 10-4 to Marco Fu in the final qualifying round of the World Championship qualifiers. Following his suspension and a subsequent investigation into the circumstances surrounding the lead up to his scheduled match at the 2012 Shoot Out tournament, Joe was banned from competition for a period of two years. Jogia had initially intended to appeal the ban, before this was subsequently withdrawn.